From News Release: Virginia State Police Trooper S. A. Richardson is investigating a two-vehicle crash which resulted in a fatality. The crash occurred Friday, (May 4), 2018 at 10:30 p.m. on Route 220, one tenth of a mile south of Route 718 in Franklin County. A 2000 Ford Mustang was traveling south on Route 220, when the vehicle ran off the right side of the roadway, lost control, then crossed the median striking a 2012 International tractor trailer. The Mustang was driven by Greyson David Gsell, 30, Summerfield, NC. Mr. Gsell was wearing his seatbelt and was transported to the hospital for injuries received in the crash. 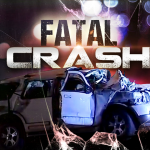 The passenger, Zachary James Houlik, 22, was also wearing his seatbelt and died at the scene.